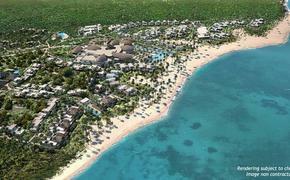 The 35-suite Turks and Caicos’ Blue Haven Resort and Marina will open Dec. 5, 2013. The beachside property will offer one-, two- and three-bedroom suites from 600 to 2,650 square feet with private terraces overlooking a marina and the ocean. The suite will feature deluxe kitchens and complimentary WiFi access. The property will also feature a spa with four treatment rooms, horseshoes courts, beach volleyball, bocce ball, outdoor barbecue areas, a complimentary 24-hour fitness center an oceanfront infinity pool and a swim-up bar. Nightly rates will range from $300 to $1,450 per night, per person.